Today I have this simple but pretty card to share with you. foam mat to give all my leaves shape. 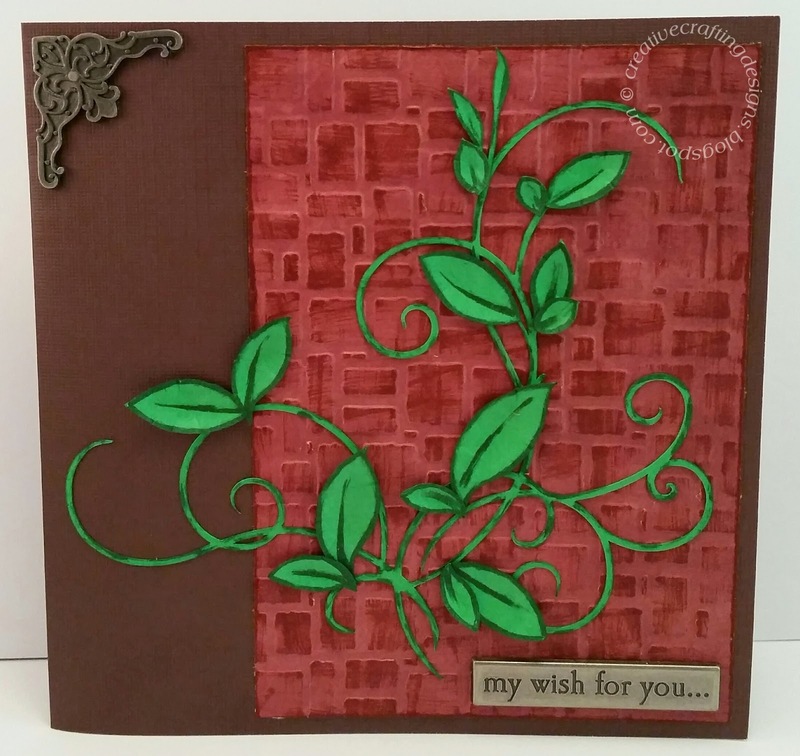 I glued the flourish and leaves to the card using Scotch Quick Dry Adhesive. The card base was cut with my Cricut as well, using DCWV textured cardstock. pattern paper which I embossed used my Sizzix Big Shot and a Darice EmbossingEssentials folder called Brick Wall. parts and edges to add a little texture.